I have previously touched on the idea that the true miracles of Jesus would be reserved for the Gentiles. By this, I meant to speak about the miracles of conversion in response to the Gospel. There are a two particular Gentile miracles that involve conversions that are worth briefly noting. In Luke 7, Jesus encounters a group of Jewish elders who have been sent by a Roman Centurion. In Matthew's rendition (Matt 8:5-13) the Centurion comes directly to Jesus petitioning him to heal his sick servant. Some might think this difference is a "contradiction." Other individuals might think it is irrelevant. 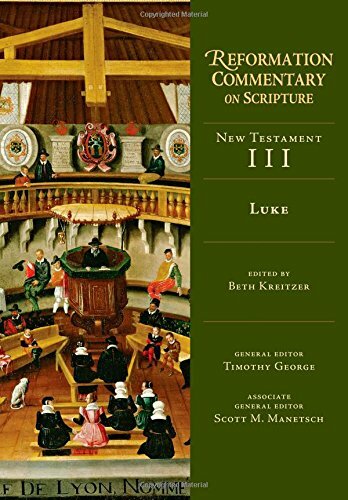 I believe it highlights the distinct themes between the two books — Luke's being pre-fetched by "he loves our nation and it was he who built us our synagogue" (Luke 7:5). I must laugh as Maximus of Turnin wrote, "The Lord did not approve the work that the centurion had done but the spirit in which he accomplished it. If he eagerly built a synagogue at a time when there were as yet no Christians, it is understood that he would all the more eagerly have built a church have there been Christians" (Ancient Christian Commentary: Luke, 116). This is certainly turn, but it points away from the importance of Israel's role as mediating priests (Exo 19:6) during the time of Christ. At the conclusion of Matthew's rendition, Jesus proclaims that "many will come from east and west, and recline at the table with Abraham, Isaac and Jacob in the kingdom of heaven; but the sons of the kingdom will be cast out" (Matt 8:11-12). In this proclamation of the kingdom, the nations are coming straight to "the table" — Christ's table. This fits with Matthew's depiction that the Centurion comes on his own to petition Jesus. Matthew has a framed rejection of the people of Israel and their replacement with Gentiles. Luke's rendition is different in two regards. The first is that he does not contain the longer rendition of Christ's teaching. Luke stops the moment Christ proclaims "I say to you, not even in Israel have I found such great faith" (Luke 7:9). But the bigger difference is that the Centurion explicitly does not come to Jesus. He first sends the Jewish community (Luke 7:3) and then his friends (Luke 7:6). The Centurion goes so far as to say "I did not even consider myself worthy to come to You" (Luke 7:7). This humility presents the Centurion in the best possible light and possibly alludes to the reality that the gospel is "to the Jew first and also to the Greek" (Rom 1:16) — there is a sense of early Jewish mediation. Again Maximus, "The Lord does not go to his house, but the Lord's healing goes. The Savior does not visit the sick man, but the saviors health visits him" (Ancient Christian Commentary: Luke, 116). The true healing is in the faith of the Centurion. Having built a place of worship for the Jews, the Gentile truly had prepared a place for the Lord. In Luke 17 we get a unique miracle that is not recorded elsewhere. Here Christ is on his way to Jerusalem and meets ten lepers. All healings of leprosy occur outside cities and contain their own Biblical imagery. But in this instance, the importance is post-healing. After pronouncing them healed — and in accordance with the Old Testament law — Christ tells them to show themselves to the priests. But it is only in the midst of their journey that they note they are healed. The healing comes in the midst of their obedience. And yet, only one of the ten returned to glorify God and thank Christ — a Samaritan (Luke 17:16). John Boys (Dean of Canterbury) wildly postulates that, "Whereas the priest corrupted and persuaded those other nine that they were cured by observance of the laws and not by Christ's might or miracle, the Samaritan believed without hesitation that Christ was 'a priest forever after the order of Melchizedek'" (Reformation Commentary on Scripture: Luke, 339). While there is no reason to jump to this fictitious conclusion, weight must be given to the response of the Samaritan. There are many paths in which to understand Luke's purpose with this story. Athanasius, "They thought more highly of their cure from leprosy than of him who had healed them" (Ancient Christian Commentary: Luke, 268). While Israel was sufficed with the surface healing, it was the Gentile who upon being healed brought forth God's praise. Cyril of Alexandria wrote, "By this, he shows that Israel was hard of heart and utterly unthankful...It shows that the Samaritans were grateful but that the Jews, even when they benefited, were ungrateful." (Ancient Christian Commentary: Luke, 269). The special miracle here is not the removal of leprosy. Christ healed the Samaritan to the degree that he recognized not only his new found health but the healer. It is not merely of physical ailments when Christ says "your faith has made you well" (Luke 17:19).